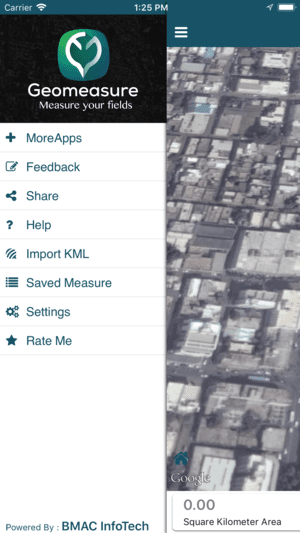 Are you seeking for a land measurement app for Android or iPhone? Do you need to calculate an area fast and easy? You’re in the right place! 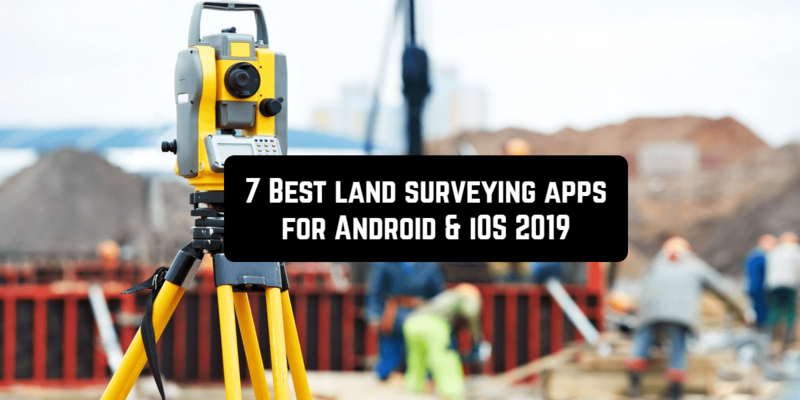 Here, you will find a land survey app for iPhone or Android which will meet all your requirements in 2019. 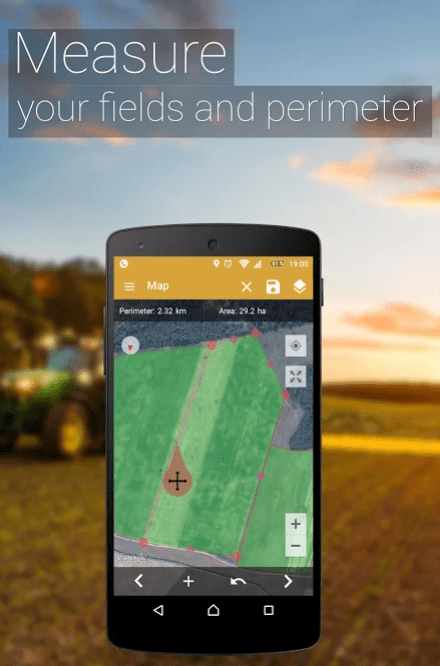 If you need a simple, accurate and convenient application that calculates distances, perimeters, areas and marks the necessary points on the map, then GPS Fields Area Measure is created for you. It includes various marking modes, such as the high-speed marking of distance, terrain, and smart marking with increased accuracy in the placement of points. You can save, edit, collect in groups, assign names, delete or exchange measured data with other users. If necessary, you can measure the data in motion. You can connect a GPS, which also improves the accuracy of the original information. Convenient and beautiful design allows you to add thumbnails to existing dimensions, paint over selected points or fields. And the most innovative feature of the program is the automatic generation of links with the limits of the selected area, route or marked direction, which can be sent to friends. GPS Fields Area Measure will be indispensable for calculating routes and distances when conducting various sporting events or planning trips. And also for farmers, gardeners, construction companies, pilots. With this program, agricultural, construction and other work on measurement and planning will not take as much time as if it was done manually. Simple GPS Survey uses GPS to do the survey. You can record location details with it and save them in a single survey. The details can be easily edited through the edit function. 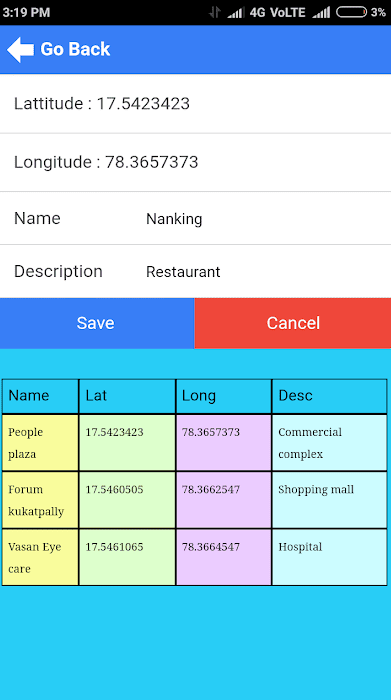 Simple GPS Survey allows storing several locations in one place. The interface and management are simple. To start surveying, tap on “Start” button. Capture and Store latitude and longitude of a Location. You can also delete the points and completed surveys when you don’t need them. Field workers, farmers, engineers, GIS students, and professionals will appreciate Land Calculator application. It’s a simple program for Android devices which in general is a set of land measurement and survey tools. It helps to make all kinds of map and land calculations. There are three methods available: Walking Survey (make survey walking or driving fields perimeter), Map Tools (draw any shape on a map) or enter coordinates. You can use a built-in GPS-controlled compass to make field surveys. 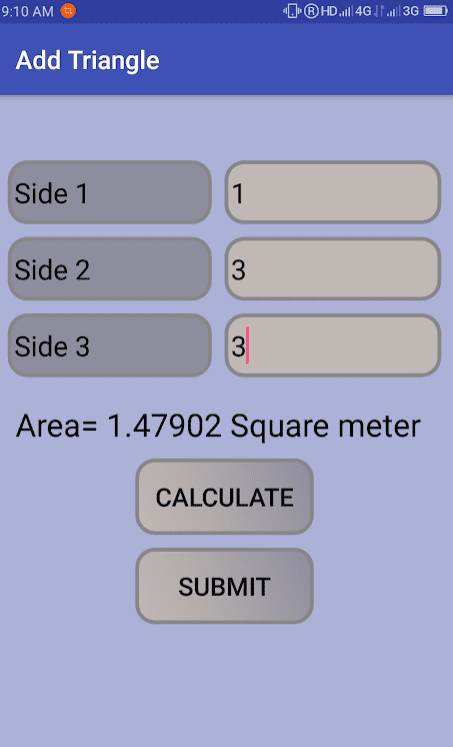 Geo Measure Area Calculator is the most useful land surveying application for iPhone users. Are you going to buy some property and calculate its area? You’ve found a great tool! It calculates GPS area with great accuracy. There are two methods of measurement available: put markers manually on MAP or record your position using GPS service. 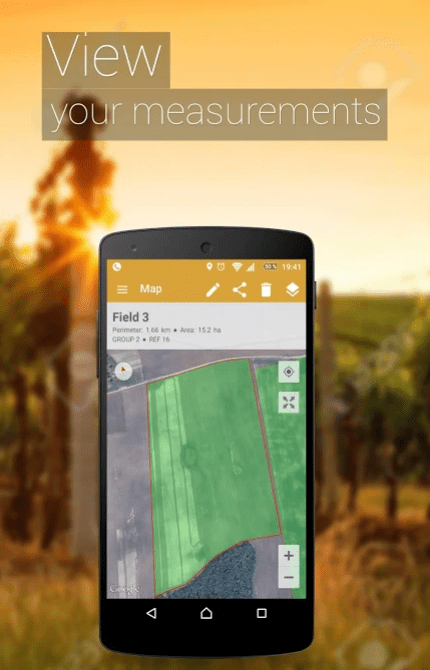 GPS area measure – land survey application will help you to measure the perimeter of a field and true size of land. You don’t need to have special knowledge to start using the application. 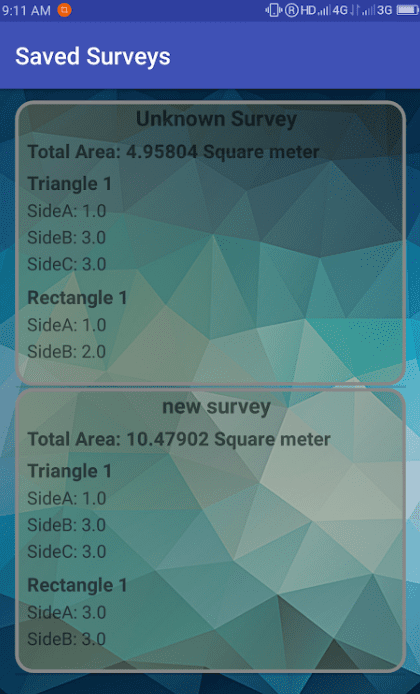 According to user feedback, this is one of the simplest land surveying apps for Android. 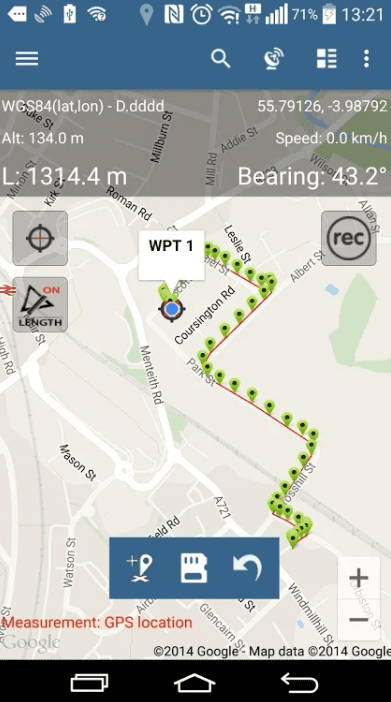 To start measurement, tap on the “GPS Walk” button and walk along the border of the area. When you’re done, press “Calculate” and the app determines the area and perimeter. 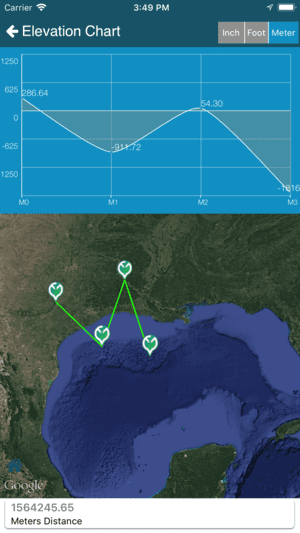 The app strictly follows the WGS84-model to transfer Latitude- and Longitude-data to metric distances between waypoints. 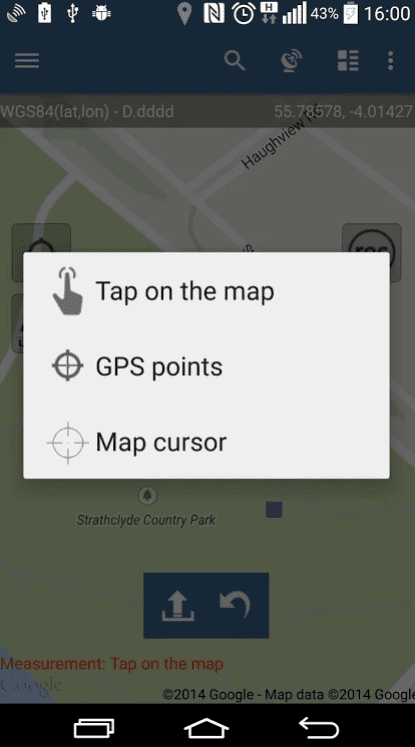 Map Pad GPS Land Surveys & Measurements is a convenient tool for Android devices which makes a calculation of areas, perimeters, and distances fast and easy process. Downloading the application, you can save, export and share your measurements. It uses real-time GPS tracking. Use Google or Bing Map Satellite view to calculate any distance. Be sure, the measurements are very accurate. A number of metric and imperial units are available. 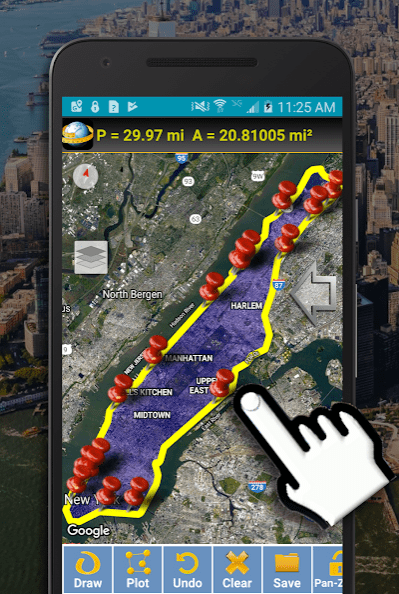 There are several methods of measurement: Tap on the map, GPS location, Map cursor location. Map Pad GPS Land Surveys & Measurements is useful as a mapping measurement tool, measuring field areas, planning garden and agricultural work, area accounting, construction, fencing of agricultural land, calculating the roof area for installing solar panels, and planning trips. 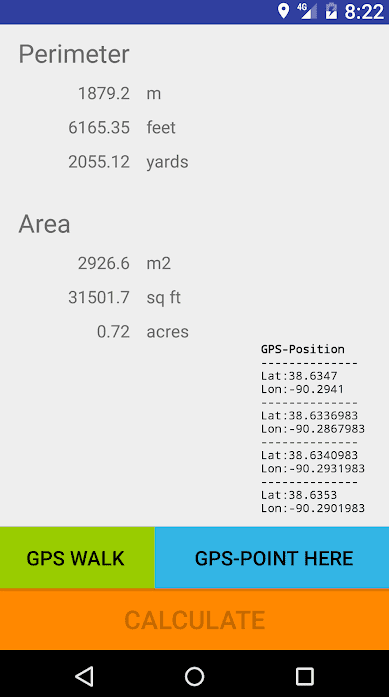 You can also calculate the land area with Land Surveyor for Android. It’s a simple application with convenient control. To survey the land, you need to divide the area into rectangles, triangles or combination of both. Then measure the sides of rectangles and triangles in meters. Select New Survey button and add all rectangles and triangles to it. Then, save survey choosing the corresponding button. You can also convert the area into different units with the Converter option. Just enter the area and select the current unit.